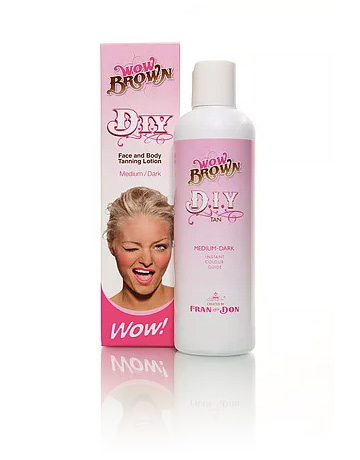 The Medium-Dark shade of our DIY Face and Body Tanning lotion has the same rich and creamy texture as the Light-Medium but gives our customers the option to achieve that darker shade of WOW. 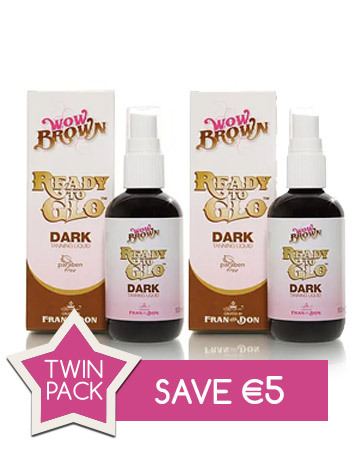 Prepare the skin by full body exfoliation and then use a tanning mitt or gloves to apply the Wow Brown Tanning Lotion all over your body in circular movements for a natural and long lasting colour. 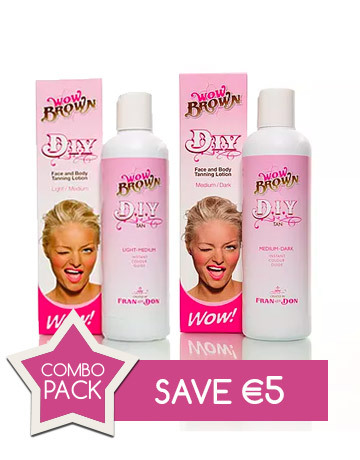 I absolutely loved the Wowbrown tan and was delighted I purchased it as I had never tried it before. I received amazing comments off my friends asking me what tan I was wearing on nights out because I had such a natural, yet dark golden tanned look. It never developed patchy on my skin and was the same colour all over my body after I showered and I loved how it washed away naturally – with no scaly look, it just gradually disappeared off my skin until I exfoliated to put on more tan. I am super impressed with the tan and noticed when applying if I add another layer it will develop darker to my preference. I will 100% be purchasing it again and I have had my friends buy it to try it! 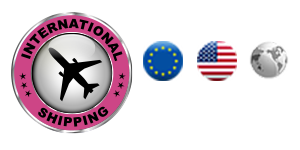 I am going to a wedding abroad in a week and a half and will be ordering another bottle to use for going away because it appears so natural on my skin. This tan is very natural looking on.. a tanned glow..sun kissed… very easy to apply & not patchy coming off. Defintely a tan i would use again. 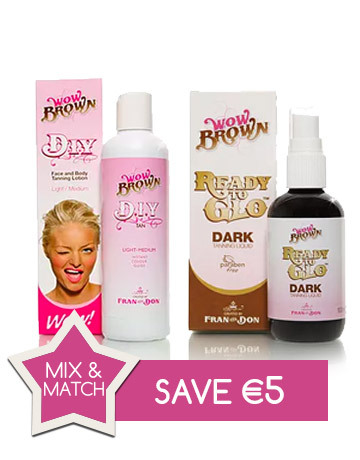 I tried Wow Brown a few months ago along with a few other tans and I always revert back to it. It goes on really smooth and the coverage is great. I find I get wear from just one application and it comes off pretty evenly. Seeing where you’re applying it is another bonus ! !